Expedia had a hard road to travel when they decided to come into Japan. The Japanese market turned out to be nothing like they had ever experienced before. Not only were consumer attitudes and behaviors towards travel booking completely different than it was in their home market, but they were up against some very powerful and well entrenched companies, including both online giants Rakuten and Yahoo and traditional powerhouses like JTB. 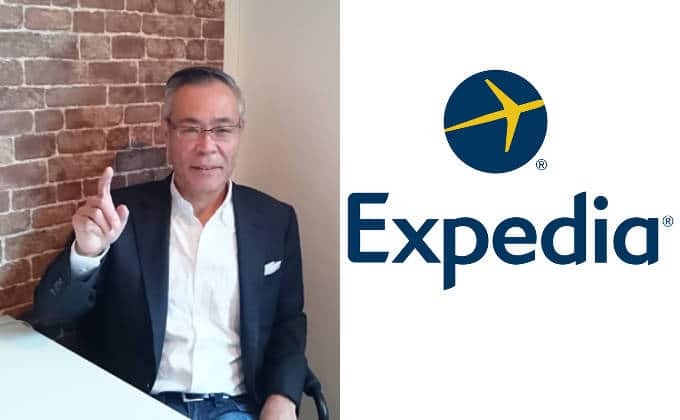 Today Hidemaru Sato, or “Maru” as his friends call him, will explain to us how Expedia managed to overcome the odds on a ridiculously tight deadline and how a few tweaks to the core product turned out to be key to their success. Maru also shares some great advice for both western companies looking to hire a Japan country manager and for people who are Japan country managers and want to do their jobs more effectively. Travel giant Expedia has their work cut out for them coming into the Japanese market. Not only was the online travel game played very differently in Japan, but they were up against some very strong, very entrenched competition in Japan, both from the major online players like Rakuten Travel and Yahoo Travel, and from traditional players like JTB as well. 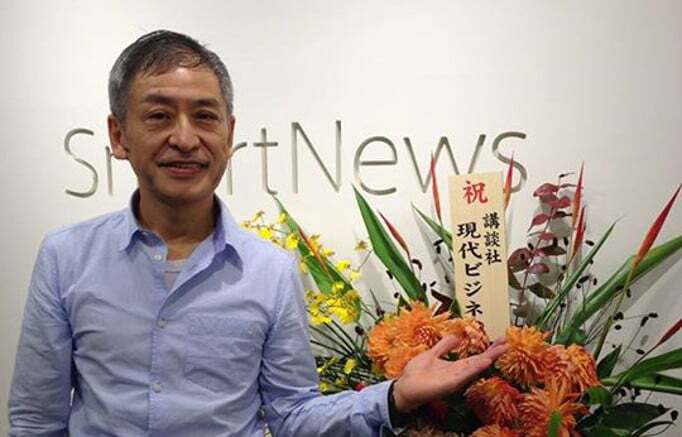 Today we sit with down with Hidemaru Sato, or Maru, as his friends call him, and he explains how he had to change both Expedia’s marketing message and he product itself to make it attractive to Japanese consumers. In both cases, you’ll see why less is actually sometimes more. Maru also provides framework for both western companies looking to higher a Japanese country manager and for people who are Japanese country managers and want to do their jobs more effectively. Once you get to know Maru, you won’t be surprised to see that he has a very personality-driven approach on both counts. But you know, Maru can explain that much better than I can, so let’s hear from our sponsor and then get right to our interview. Tim: So, we’re sitting down with Maru Sato, and you’ve brought a number of companies into Japan, but today we’re going to talk about Expedia. It was a while ago but let’s go back to when Expedia was first thinking of coming into Japan. What did they see that was important about the Japanese market? Why did they want to be here? Maru: Okay, I think back to maybe the early 2000s, and basically it’s kind of the boom. It’s a lot of successful U.S. companies who enter the Japan market because Japan was still strong. Tim: Well, it still is. The Japan market is still pretty big. Maru: Then also, the Japanese market is something like new IT technology or internet-related business just starting. The first company I just helped come into Japan market is America Online, AOL. This is 1999, so this is when AOL was the world’s biggest internet service at that time. So they expand to Europe first, U.K., Germany, France, and also the Asia Pacific. Tim: In both AOL’s case and Expedia’s case, it was just part of the natural global expansion. Tim: I want to talk about that a lot. Before we get to that, though, how did Expedia pick you? How did you end up running this organization? Maru: My experience, AOL launching experience here, and also more than 10 years experience in Japanese companies and U.S. business. Tim: You had a track record here in Japan, and also you had had operational experience in America as well? Maru: Because a U.S. company, or a global company, tries to find a person who understands western style business and Japanese style business both. Tim: Actually, let’s talk about this because this is such an important point. What do you think makes a really good country manager or local Japan CEO? Because so many foreign companies fail here. 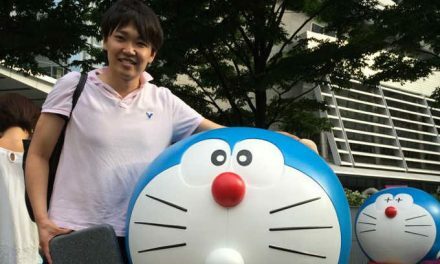 Maru: From my experience, and also from my friends’ experience, the reason why it’s not easy to find a right person for GM or country manager. It’s not so easy to find the person who knows both cultures. Tim: Well, it makes sense. Almost everyone’s incoming from one culture or another and there has to be a bridge. Maru: It’s many, many people who speaks much better English than be, but how long does a person understand society over in the United States? Business and school, and life, everything. For me, I just spent 2 years at university and also 10 years in business in California. Also I talked to a lot of U.S. based companies for Japanese based companies. During 10 years, I just learned how to debate them, how to fight with them. Tim: I think that right there—fighting is one of the most important aspects. It seems like so many companies will choose someone who’s in late 20’s, early 30’s, went to school in the U.S., speaks English very well, gets along with headquarters, but had never had to fight for resources inside an American company. Maru: Fighting is, my years of fighting is how to understand each other. That is sometimes fighting, and sometimes discussing, how to pursue them based on trust and also based on respect. So when I was in my first 10 years of business experience in the United States, it was as the country manager of a Japanese company in the United States. That was a citizen watch company. We have a lot of mechanical engineering and also precise engineering technology, but how to get the business for Japanese headquarters—that means I need to talk to Hewlett Packard, I need to talk to Motorola, their computers, these people. The lucky thing for me is, “Hey, Maru, you understand it both ways.” It’s much better than a person who does not understand U.S. culture, who has come from Tokyo, to talk to Hewlett Packard, or Dell computers, or HP,” so that is totally different. Also, 2 years in Stanford makes me know how to collaborate with people in the United States and also the international. So that two years of experience in grad school at Stanford is very, very important for me. Tim: But operating in English in a university setting is very different from managing staff or trying to make sales. Maru: Yeah, yeah, because the business is based on communications anyway. All my friends, general managers, country managers here in Tokyo—very successful people—listen very carefully and also try to understand each other type person. The most difficult person is moving, or talking, or acting under the order from top management. Tim: Yeah. I’ve seen this happen. It seems to me that the Japan head is really the representative of the Japan office at headquarters, it’s not the other way around. So the Japan head is not there to explain to the Japan to the Japan team what headquarters wants—the job is to explain to headquarters what the Japan team needs. I think a lot of people don’t do it that way. Maru: They try but it needs the training and practice. Business school never teaches how to do that. I did many, many mistakes and I did many, many faults, but all mistakes and all faults are better after, to the next stage. Maru: Yeah. I learn. Also, I always talk to U.S. headquarters, to my boss. Usually my boss is sometimes head APAC or head of intelligent business in the United States. I just talk to them. Anyway, come to Tokyo for 2 weeks. It’s just a blink to a prospect but on the other hand, I just try to bring them to a Japanese bar or Japanese drinking place, trying to introduce my other friends. Tim: Right, to build relationships with headquarters and to get the CEO or the APAC head thinking about Japan. Tim: You know, it sounds like what you’re doing, you’re just making a very strong emotional connection for the visitor. Tim: I mean, they’re doing business, of course, but you’re making it much more emotional and engaging than a normal business meeting. Maru: And also, sometimes, the family tries to make a relation. You know, when he comes, I just introduce my wife, and maybe some dinner or something, and try. My wife is always shy but I sometimes try. Tim: To build those personal and emotional connections? That makes sense. Maru: And also, my management style is always bad things first, good things later. Tim: Get the bad news out of the way early. Tim: You mean so that headquarters understands early or that everyone understands early? Maru: A lot of Japanese country managers, even though English is very good, bad point is hiding bad things. Tim: Yes, this is the number one complaint I hear from the U.S. side, is that Japan has become a black box. Maru: Usually weekly sales meeting or weekly face-to-face manager meeting, I always—I start with bad things last week. First one is like, “This, this, this, and I have a problem, help me.” Second one is, “I got some comments from my prospect and I need a very quick action from the United States,” and then good things. Tim: So you encourage everyone in your staff to do the same thing? So if they’ve got bad news, to share it with you and to share it with headquarters? Maru: Yes. Because if they know earlier, they also know earlier how to solve it. Big business deals are very difficult sometimes, but just hiding, hiding, and then the final 10% is gone sometimes. Sales meeting person always just reports to the United States, “Hey, Maru, what is the problem with Company B, or Company A,” or something. It’s very good, 90%, very good, almost closed, almost closed. If I have a big problem, then they don’t close anymore. They are very disappointed. “Why, Maru, that problem, two months before, why didn’t you just tell me?” We have dismissals, dismissals, dismissals, so I learned that this is very important because business is teamwork and why they selected the person who managed a new business, is they would like to be successful. Tim: It must have been difficult to get Japanese staff to really follow that model because Japanese business culture does not promote telling your problems early and talking about your problems the firs thing. It’s kind of the opposite. Maru: Because to a lot of people, it’s more like a hierarchy. It’s who has more responsibility or something like this. This is sometimes a good thing but sometimes a bad thing. Tim: So that must be something you have to really push your staff hard, to build that culture. Maru: It’s interview time for a company like Expedia, just to try to find me many, many other candidates. I always, first interview is made with my boss. It’s very, the normal questions, “Hey, Maru, what is your business style?” Many people, “Yes, I have this, hands on, hands off,” or something. This is very important but I just always said it’s very important that I always report to you bad things first. Bad things first. Your role is how to solve bad things. Tim: I like that a lot. Maru: The start-up stage is general manager, perhaps maybe product manager, or maybe office manager—it’s very small, so I’m not Superman. I need your whole marketing team to help a Japanese new company. They really love to hear about this. Tim: Yeah, I can really imagine so. And I also imagine that builds up a whole lot of trust, especially being so far away from headquarters. There’s always a doubt that they really have visibility into Japan. So if you start with, “Here’s what’s going on first, just so you know, just so we can get it fixed,” and then, “Here’s everything that’s going right,” I think that would build up a lot of trust. Maru: And also, some people are just very lucky, maybe, but for me, all these business companies is very first business entering into Japan. It’s not easy to explain what kind of business from the United States. So in this case, it’s the business building up time that is very important. Tim: This is really great stuff but let’s get back to Expedia for a minute. You were mentioning before they had to look at Japan differently, and think of the product different, and think of the market different. So what was it that Expedia had to change about their marketing in Japan. Maru: Expedia is just starting to find the appropriate general manager and maybe it took one year, or one-year-and-a-half before they found me. Their specification was very tight and high; they needed travel industry experience and also need to develop relationships with airline companies in Japan, or train companies in Japan, or these kind of things. So they tried to ask to maybe JTB or KMT or something but not person passed their specifications. But for me, I never had any travel experience so the reason they chose me—I told them, I do not have any experience in travel, and also I love travel, but I do not like to take care of travels. But they said—that was 2007, January, “Frankly speaking, we already announced to The Wall Street Journal, or everybody, in November, we launch the Japanese Expedia.” Less than one year, and they still have no person to take care of that. They asked me, “What do you do?” So I say very easily, “It’s an online business, right? Do you have any Japanese website?” “We have only 10 months, not yet.” “Do you know any regulation on how to get some licence to open a travel business here in Japan.” “Yes we know, but never apply.” And then also, “You already used one mode one year, so what is maybe the candidate for operating and also the system, or something,” so not yet. So I just told them, “One year is very difficult, but from your information, but one year after, you set up November 27th is the launch day,” we do several things. They give me the website design people here, maybe within 3 months, we need to set up all the website in Japanese. Tim: So it just sounds like a crazy rush to get everything ready. But during that time, did you change the marketing message? Did you change how it was perceived in Japan? Or were you just trying to get it done? Maru: I talked to many travel agencies here and also I quickly joined the Japan Travel Agency Association because Expedia’s name is very big. We just established Expedia Japan and then I tried to bribe your association. They were very welcome, and then I just visited many times at association party or meetup and then explained them to also help me. They are a competitor, but help me because Expedia is wild, biggest ’09. I just tried to success and also work with you guys. Tim: So what were they helping you with? The licensing, or just general advice? Maru: They just gave me a lot of advice, “Hey, Maru, you need to talk to this person in the Tokyo middle point in government,” and then we know that, so he takes care of that. And then sometimes he calls them and interviews Maru, and it’s very easy. I think when a U.S. company finds a person who takes care of the Japanese operation it is always recommended to ask him or ask her how he or she likes social relation. This is very important. Maru: One person, just like a little book, or call, it never works. It never works in Japan. But one the other hand, usually U.S. just finally found the person, GM, and then maybe 10 or 20 candidates, so they very trust him or her to open the business. In this case, I told the U.S. company, “If you find a person, just check out several points. First one is how he or she has friends or industry relations. Very important. English, okay. And also, try to find a person who just loves to make friends.” First one week things to do is to go to the United States headquarters and I ask my boss is, “Set up the meeting with me.” Like the engineering top, and also the second person, and also the working person, and also marketing, head of marketing or something. Tim: No, you’re bringing up an incredibly important point that I don’t think a lot of country managers understand, that it’s not just the relationship with your boss that you have to develop. You have to develop relationships into every part of headquarters. Maru: My boss finally decided to arrange, but before that, I strongly recommended that I need to talk, I need to know each other before the timing of when I need that. Tim: Yeah, you’ve got to build up the relationship so that when you really need something, then they’re going to come through. Maru: Usually, when we do this, it’s many, many good things. Quarterly sales meeting, and the need to go to headquarters, and also 40 minutes for Maru, 40 minutes for U.K., 40 minutes for Germany, or something, for the international sales meeting. Maybe for our best quarter. Sometimes the quarter is better than the target—no problem; 2 minutes. And the next quarter, I do this, this, this, this. Okay, how is your trust level? Okay, maybe nobody knows right now but from my, actually it is 90 person. All right, fine. But maybe 70 person target, this is a big problem. If I know a lot of people in the entire company, they will help me. So it’s usually just a call or an e-mail, “Hey, Steve, I have a problem for the next sales meeting, but the reason is this, this, this, this. Do you have any good advice to me, to survive from the CEO?” “Yes, Maru, I have two ideas.” That is maybe needs a very open personality, so I told them if you try to find the appropriate person, just check up with him or her on how he or she is an open minded personality. Tim: So a company coming into Japan and hiring a CEO or country manager should be looking more for a personality type rather than work experience? Maru: It’s important. Work experience is also very important but the reason why you choose me is you already know my work experience. Outside of expertise, that is very important. That is how to make human relations very quickly and catch up very quickly. All my friends who are successful here in Japan for the U.S. companies or U.K. companies is all the people, almost you know, same, the taste of the person. I know many GMs, after 3 months, after 6 months, always is a big problem. Always very quiet, and also, they try to hide some problem. That is always too late. Too late is a big problem for the boss. The boss has a responsibility to bring new Japanese business very well. Tim: Right, so it’s too late to help them in any way. Maru: Yes, but bad things first, also they understand. They need to be successful and they very quickly do many things. Tim: Because everybody wants you to succeed. Maru: Everybody. This is also internally; when I just operated the Japanese office, all my staff, I told them bad things first. Tim: Yeah, I want to bring this back to Expedia. And we’ll get back to this because this is amazingly valuable information on how to run a market entry but in Expedia’s case, what did you ever have to change about the product or the marketing to make it succeed in Japan? Maru: First of all, there are two targets for the users. One is out of bounds travellers from Japan another one is inbound. Inbound U.S. is very good, only one problem, is to how to increase hotel or ryokan, or something, here. This is data basics and I just talk to them, to Asia Pacific headquarters, who is doing that? So just bring them here in Tokyo, in 3 months or something, the strategy is to change the people from Yahoo Travel or Rakuten Travel to come to Expedia travel. So that messaging is totally different. Tim: So in Japan that was gaining market share from existing companies? Okay, and that was different from what the U.S. was trying to do at that point? Tim: Big stacks of paper. Maru: Yes. And then try to find what is the Japanese travellers try to find from this kind of information. Tim: You mean you were trying to find out what were the most popular types of destinations? Maru: Yes. And also how to act online. So I just recommend them, “Okay, you have a lot of budget anyway, so why don’t we do some focus group?” My idea was 20s, 30s, 40s, 50s, at least 10 people, and then the condition was they buy something online, or something like this. So we just did focus group. They said “Why?” I try to act how people act online, if people try to find the travel. Tim: Well, this is really interesting because almost every market entry I know, it starts out with the Japan office trying to run the headquarters’ playbook, so trying to act like the U.S. company, but in Japan, and it sounds like you were trying to act more like the Japanese competition. Maru: Maybe in my case, in my personal experience, it is already Japanese local competitors here. Then also, maybe online travel is not popular maybe 10 years ago. On the other hand, Expedia’s website is very sophisticated at the time. I like it and what I think, just ask my wife or my friend, Expedia is very beautiful. If all menus are in Japanese, what do you think? Too sophisticated, or too internet, or something like that. Tim: It was just too difficult for people to use, or they were just overwhelmed by the choices? Maru: Not easy to find it. Tim: Did you simplify things? Did you change the interface? Maru: Okay, that’s a lot of also good things. I tried to categorize good things to keep, bad things to change, and then bad things to omit. I just sent my proposal to the website design group at headquarters and start to discuss. Tim: And were they supportive? Because frequently, headquarters is very protective of the core product and they don’t want to make any changes. The Expedia team, were they flexible or did you have to negotiate for them? 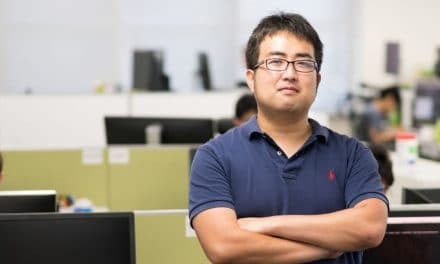 Maru: Expedia is basically, the working-level people are very flexible, but maybe the management always asks, “Why, why, why?” I have some basic computer science, so I know what is maybe their big problem, or what is the easy problem. So I never change any basic platform or something but I try to ask them to change the look and feel, and also omit any large data. We do not need first one year, or something like this. That means try to simple, simplify, but it’s never simply for design. Design, we keep that. And then we really need website developer and designer who understands what is the point to change for competition. For web design firm, we ask very clearly, “You know Expedia U.S. website. We try to make Japan version.” Never say direct translation. We have a lot of room to change, to make it fit to Japanese culture. And then we have already each person’s focus group result, you know, “What is the problem for Rakuten Travel or Yahoo Travel, or something,” so we need the research already. Then just try to make a proposal, how you guys work with us. The trouble is that maybe U.S. is a big continent, and Europe is also—many companies are in the Europe continent. Flying long distance is totally different for a Japanese traveller trying to go to Hawaii, or the U.S., or something. Tim: But also, Japan doesn’t really have a travel industry like Europe or the U.S. It does, but it’s much, much smaller than you would expect. Maru: Yeah. For the first 3 to 6 months was very tough. The website looked fine but now how to get the people just visit the website. This is a search engine strategy or something like that. We did many, many things. Tim: Was there 1 or 2 things that you remember that were particularly successful or particularly a bad idea that you tried? Tim: You mean you wanted to show less inventory in Japan? Really? Maru: Japanese version. If they understand English, okay. Tim: Oh, okay. So the Japanese version had a much smaller selection but it’s all in Japanese? Okay. Maru: So that makes very quickly and also easy hotel to find a good hotel for them. Tim: So the user experience in simpler, you have a little more quality control? All right. Maru: And also, we changed a lot of menus and a lot of user interface to fit for Japan. Tim: All right. How did you go about attracting customers because you were up against JTB and Rakuten Travel and some pretty big sites at the time. How did you get travellers off of those sites and onto Expedia? Maru: For example, for the focus group, I just asked people if you would like to go to Hawaii next month, your computer is in front of you, so just try to find most appropriate travel package for you. Everybody just goes, at that time, to Yahoo. Only guys in the 20s groups use Google, or Yahoo, but we find which kind of search words they’re getting and then it’s starting in Hawaii, a lot of Hawaii, and then it’s maybe some other people is too much, so Hawaii and most cheap is like saiyasune. And then finally goes to Rakuten Travel or Yahoo Travel. And then now how do they act at using Rakuten Travel or Yahoo Travel. Everybody just tried to—the backend force—very difficult to find the appropriate hotel because how to narrow down a price range, or how to narrow down a near site or something. And at the time, only Expedia has if we try to find Paris, narrow down menu is including Eiffel Tower or something, and then we try to find nearest hotel from Eiffel Tower. So we explain if you can do San Francisco, Union Square, the good hotel walking distance, how do you find this kind of function? It’s very, very good. So we already found, we already used that kind of function, so this function is very, very good for Japanese people. We tried all functions and this is top priority. Second priority is this, this, this. Make the launching time function a little bit simpler. Maru: And also, from users’ point of view, what is a problem for Rakuten or Yahoo or something. Tim: And how did you get the word out? Did you use—obviously, like SEO, but did you guys use television ads? Maru: Television ads is after I moved out. TV commercial, we discussed a lot, but at that time, I also just wait around maybe the more users coming. Now maybe sometimes Expedia does TV commercials, but TV commercials are very difficult to find exact ROI. Tim: Yeah. And it’s expensive in Japan. Maru: Expensive in Japan. So because a lot of Expedia found candidates, is we set up the very young people. So young people is after 11pm or after midnight, TV spot is still not so expensive. We could do that but we try to find just the more people increased visiting. Tim: What was your strategy for reaching those people? Maru: The best one is maybe, at that time, only Expedia does, most cheapest price package guarantee. That means if other agencies has less than that, money back. Tim: But how did you advertise that? Just word of mouth? Did you use print media? Maru: We just do a lot. Print media, of course. But we try to focus on the trading shows. Travel-related trading shows first. We never had a big booth at like SyTech, or something like this. So first one year, one-year-and-a-half has been very concentrated on the niche market, the industries first. Maru: On the other hand, we spend, it’s not big, but reasonable money to SEO. And then also money back guarantee on this, but result was very good. And what we found, in the United States, Expedia has a lot of Expedia funds. I mean, always use Expedia. In Japan, compared Rakuten, Yahoo, Expedia, Hotels.com, so at that time, it’s like the right timing to Kakaku.com just starting. Kakaku.com is how I packaged and then compare. If they have a list in Expedia, we always just put Expedia’s logo with cheapest guarantee, or something like this. Tim: Oh, I see. So it was just being very aggressive with online media in every possible way. Maru: Yeah, we did. We did. Because online travel, still the starting time, Rakuten Travel, Yahoo Travel, was already existing, but still many people visit some ekimae no JTB, or something like that. Tim: Yeah, just walk into the travel agents, in every station. Tim: Even today, still an amazing amount of tours get booked by people looking through brochures. Maru: Yeah, but now it is totally changed. It’s much, much the online, for example, at that time, Japan AMA never gave us a very cheap price. And also, JR is never, because 5 biggest travel agencies just commit them to buy back ticket. Tim: So Expedia Japan, you guys were focused mostly on international travel? Tim: Yeah, a lot of manual work. Maru: And also visit ryokan, ask them we are Expedia and then also to try to give you the opportunity to inbound people here, but sometimes no staff speaking English, so. Maru: When I started Expedia, its inbound is only 6 million. Now 20 million. So it’s totally changed. Tim: It sounds like at this point, you’ve got your beachhead, you’ve got a growing business both inbound and outbound, you’ve got a good working relationship with headquarters and your staff, so why did you end up leaving? listening to the interview one comes to the result that new entrants are distrupted ie they have to chage their way of doing business as opposed to changing japan or changing the behavior of the japanese consumer. So we are not talking about disrupting japan anymore. Thanks for listening. Foreign companies certainly do need to adapt when they come into Japan. 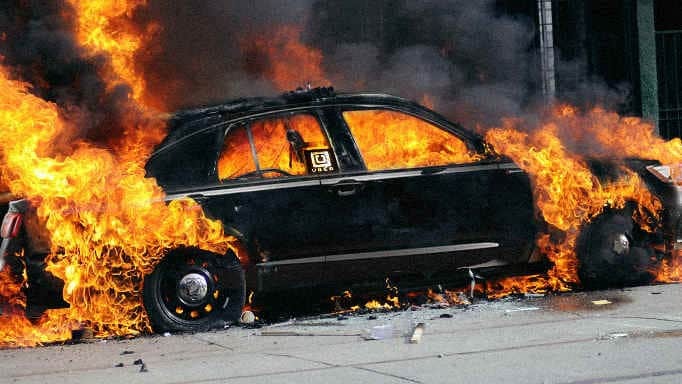 Uber is a good example of what happens to those who don’t. However, the new technologies and practices the companies bring in can also result in significant changes and disruption in Japan.